The Birmingham and Derby Junction Railway won 'third prize' to reach Birmingham by rail in 1839 with a line from Derby to Hampton-in-Arden thus enduring having to rent some track from the London and Birmingham Railway. This proved financially unacceptable to the BDJR who went about constructing their own route into Birmingham from Whitacre terminating at a new station to be built at Lawley Street which opened in 1842. 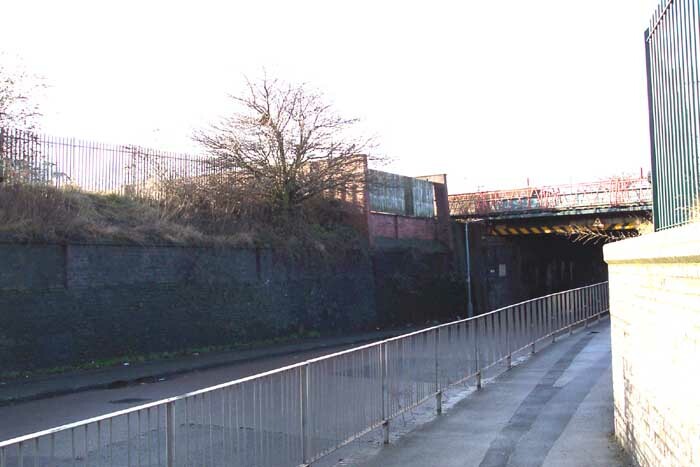 Two years later the Midland Railway absorbed the BDJR and Lawley Street was bypassed with a new line into New Street which, in 1851, ended the short career of Lawley Street as a passenger station. 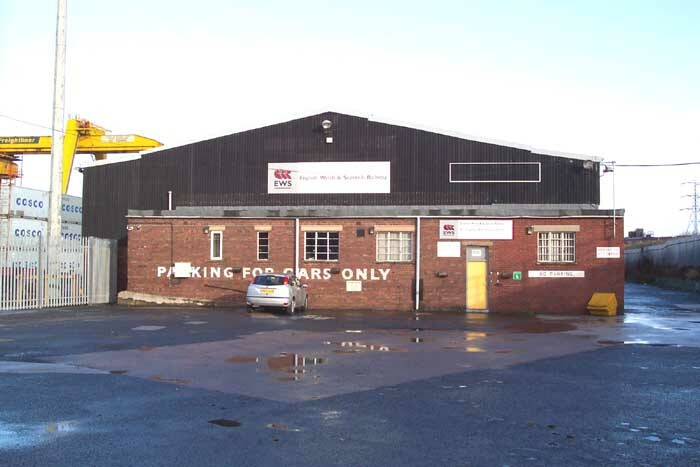 Unfortunately, Lawley Street itself has now been swept away with the creation of the inner ring road system and become Lawley Middleway and the earliest OS map available was produced in 1893 by which time the site was already a sprawling goods facility hence it is now nigh-on impossible to pinpoint the exact spot of the passenger station. To further compound this problem, Freightliner took over the site in the late 1960s and largely gutted it and furthermore, the photography predilection for passenger lines means a lack of images of the station in pre-Freightliner days. 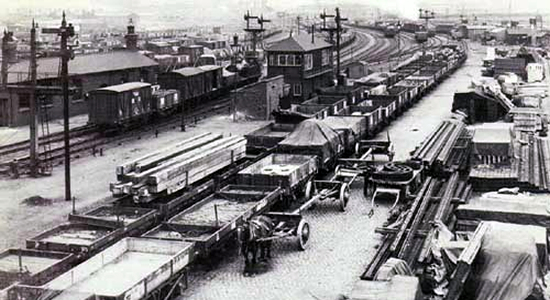 However, I have come across the above shot from 1895 (photo: Crown Copyright) showing the yard under Midland control looking towards Saltley which also gives a good background of roughly where the overhead cranes are sited today (see below) with what I believe to be one of the original passenger buildings top-left. Above-left we are looking across the Freightliner site from Landor Street - the overhead cranes are clearly visible which straddle the trackbed. 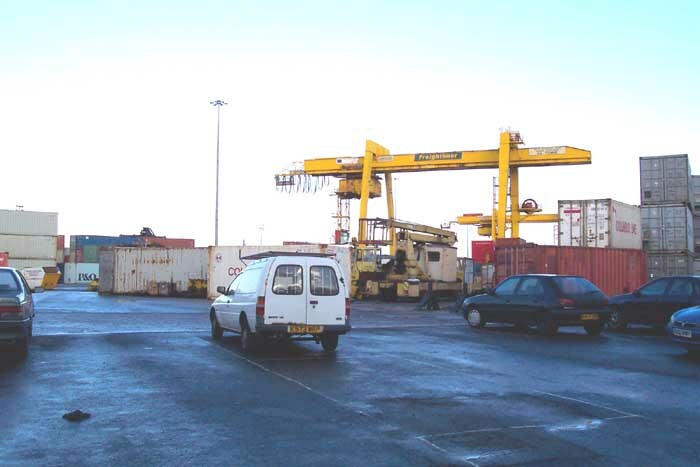 Above-right is the EWS Birmingham Distribution Centre which occupies the site next to the Freightliner yard. I have to admit that I got a little fed-up walking around the perimeter of this site looking for a good shot - and not finding one. The site is vast and surrounded by factory units, scrap yards and the like around its outskirts which prevented me from getting close enough to shoot the tracks themselves. 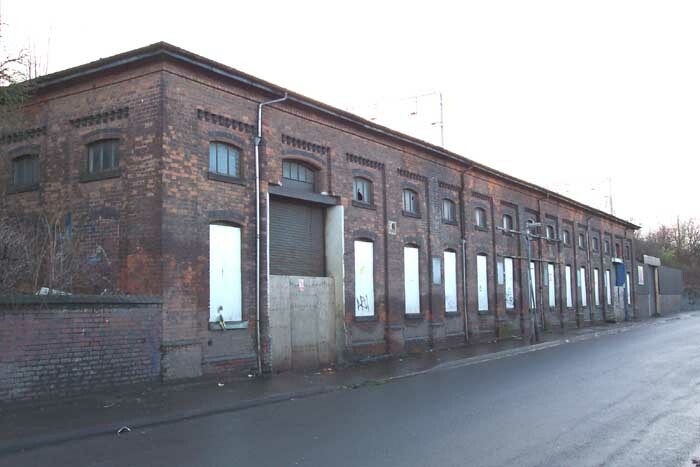 However, the photograph above shows a disused railway building dating from at least 1893 as it appears on the OS map of that year and stands in Landor Street facing the entrance to the Freightliner centre. The architectural style is that of a stabling block for horses which would tie in with the goods station as horses were used extensively for shunting duties - they even persisted with this practice under British Rail until 1964. Above-right are the remains of a previous brick bridge over Duddeston Mill Road, the replacement for which can clearly be seen. All-in-all I was not best pleased with my trip to Lawley Street and unless you know of a good vantage point that I didn't come across, I wouldn't recommend a visit.